In addition to having faster transaction times and a better deemed security algorithm, one of the biggest differentiating factors between Bunnycoin and its predecessor Bitcoin is the fact that 10% of the newly mined Bunnycoins go directly to user voted upon charities. This makes Bunnycoin one of the first and undoubtedly the most effective for charity currency ever created. 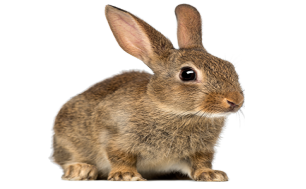 To participate in this revolutionary decentralized charity voting process all one has to do is send 1 OHare .00000001 (the smallest divisible Bunnycoin unit) to their desired charitys Bunnycoin voting address that has the prefix of BUNNcha . Each user held Bunnycoin counts as a potential vote towards these voted upon charities. Every week 10 charities are algorithmically selected based upon the number of user votes theyve received over the past week, to receive 10% of that weeks for charity coin bounty. 1st place receives 5%, 2nd place receives 1% and the following 8 places receive .5% of this coin bounty. Users can vote for up to 10 charities of their choice in order of preference by sending between .00000001 OHare (for 1st preference) and .00000010 OHare (for 10th preference) to the charitys special voting address starting with the BUNNcha prefix. This charity coin distribution process is carried out algorithmically rather than manually, to ensure fairness and to protect against potential fraud. In addition to its revolutionary charity coin distribution, Bunnycoin also helps out charities by increasing their exposure to a whole new community of generous Bunnycoiners and by reducing the transactional costs and financial barriers for enthusiasts from all around the World to donate money. Additionally another advantage is that Bunnycoins enable online micro-donations that otherwise wouldnt take place. Using Bunnycoins someone can easily and effectively donate $1 or even 10 cents for instance. All a charity has to do to start accepting Bunnycoin donations is simply; download a Bunnycoin wallet, generate a Bunnycoin receive address within the wallet and then get that special donation address out to the community via channels such as your website, social media accounts, email list, etc. To become eligible to receive a portion of the exclusive charity coin bounty which is algorithmically distributed weekly to these user voted upon charities, a charity must first generate a special vanity Bunnycoin address with the prefix BUNNcha, a tutorial on how to do this can be found here. Alternatively one can simply contact us via bunnycoinofficial AT gmail.com and we will help assist you in this matter. Once the special Bunnycoin address has been generated for voting, the next step is to get the word out to Bunnycoin users. For the opportunity to get your charity featured on the Bunnycoin.org charity voting page for increased exposure shoot an email to bunnycoinofficial AT gmail.com with your charity details, donation address, etc. For a better chance at winning the coin bounty it is recommended that you engage in the process of informing current enthusiasts that support your charity or cause about the Bunnycoin opportunity. You can encourage them to download a Bunnycoin wallet, acquire some coins and proceed to vote for your organization. If Bunnycoin does indeed catch on like the community is working towards, these charity coins will definitely be worth putting forth the effort to acquire. Plain and simple: Any charity that truly wishes to make a positive difference in the World should hop aboard the Bunnycoin train today. The rewards could be tremendous and Bunnycoin at its core was built for such a noble cause as this.